La Pausa is large property located on the Cap Martin (Roquebrune), which is located in between Italy and Monaco, and is famously known as Coco Chanels old mansion. Coco bought the piece of land which was used by the Grimaldi family as a hunting ground, and designed the property with the help of a young Robert Streitz. Named “La Pausa” as it was a place that Mary Magdalene paused close by on her plight back to Jerusalem after the crucifixion of Jesus. The property was later used as the name of one of Chanel’s exclusive perfumes. According to reports, La Pausa has been acquired by the House of Chanel, and will be restored to its deserved glory. Villa La Vigie is actually located at the far East of the Principality and is an iconic property which is often referred to as the “Karl Lagerfeld Villa” as the designed lived in the property for approximately ten years. It is truly spectacular and impressive to see, both from the outside and inside. Built in 1903, being one of the very few private residences in the area, long before the Principality skyline was constructed, it now is ideally located next to the Monte Carlo Country Club and the Monte Carlo Beach. The current owners maintain the property to perfection, and proudly offer the villa for rent. For those lucky enough to reside in the Villa La Vigie, access to the swimming pool of the Monte Carlo Beach is one of the many benefits of renting the property. Read Karl Lagerfelds Monaco address book in Monte Carlo in the following link of where he likes to eat and spend his time in the Principality. 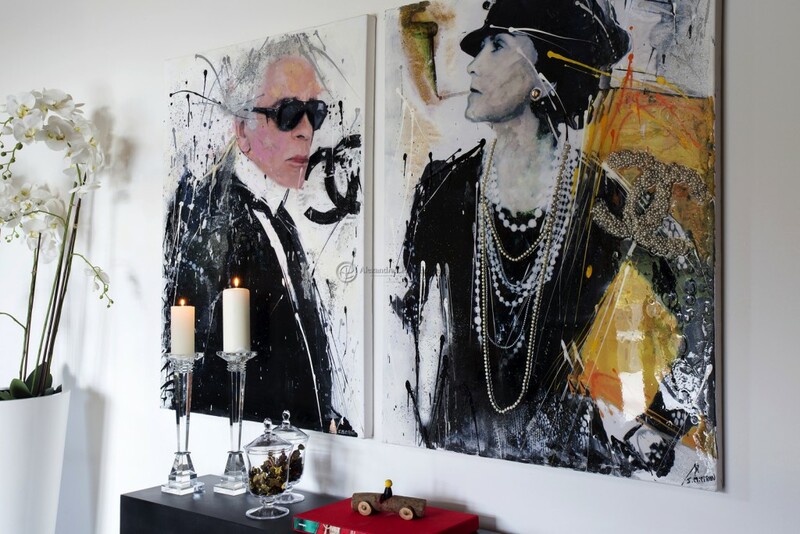 For Karl fans, see his stylish apartment in Paris and the swimming pool that he redesigned for the Hotel Metropole in Monaco. There have been several properties owned by heads of international fashion houses – such as Coco Chanel and Dolce & Gabbana in Roquebrune Cap Martin, Givenchy in Saint Jean Cap Ferrat, Estée Lauder in Cap Ferrat and in Cannes. Tina Turner owned a sublime property in Villefranche sur Mer, named Anna Fleur and is featured in a 2000 edition of Architectural Digest. One of the most famous properties on the Cap d’Antibes is a beautiful modernist villa on the water front, the Villa Aujourd’hui, previously owned by Jack Warner in the 1950s. 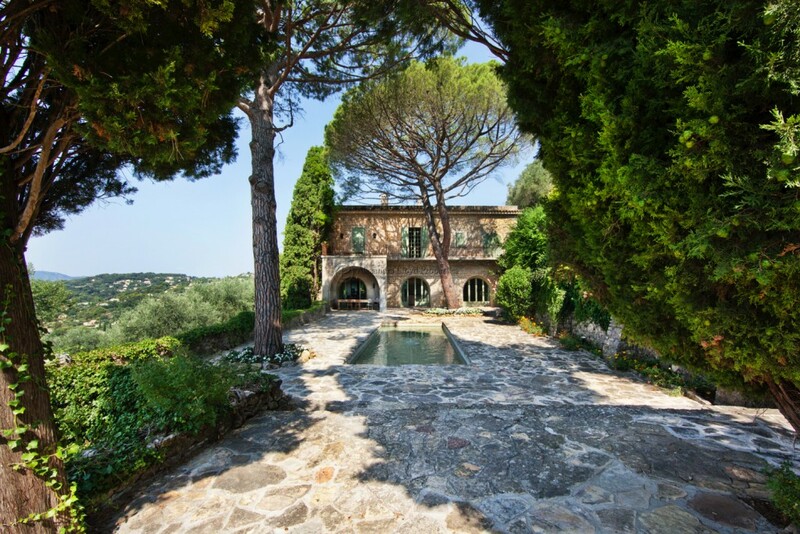 Pablo Picasso owned several houses in and around the Cannes area – one located in La Californie and another sublime old mas in Mougins. The Mougins property has been sublimely renovated with the finest materials and care by the current owner, adding modern amenities with a strong intention to maintain as much history and memories of the late artist. George Michael’s previous property is located in the Marres area of Ramatuelle, which reportedly was named “Chez Nobby”, which has now been fully renovated and renamed.